This information on the Online Floral Directory helps you to reach out easily to florists where you can have a look at their floral arrangements provided by them at the same time get the information on the flowers that they can provide to you. Florists are a need when doing any special occasion. 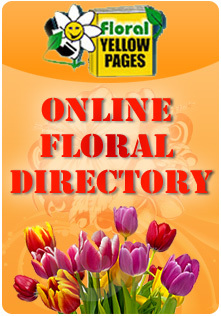 Another way in which Floral Yellow Pages helps you is through providing the address and phone numbers so you can visit the shops. Florists or flower shops will always have photo albums or pictures showing their work at certain events. Our Online Floral Directory has all the necessary tools when conducting your search. It's a lot better than searching different search engines which most likely won't produce the type of results our directory has. Online floral directory gets right down to the point puts you right in front of the local florists that you was looking for. 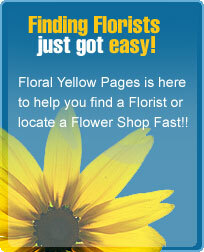 Floral Yellow Pages goal is to connect the retailer with the consumer so it works on both ends.